Station 37 would like to send a big congratulations to one of its own, Firefighter Michael "MJ" Capps, who graduated from the United States Marine Corps bootcamp today in Paris Island, SC. He will be continuing his MOS training in North Carolina for military police. A few of Station 37's members have traveled to SC in support of our fellow brother. Pictured (from left to right) Firefighter James Bartok, Veteran Marine Ryan White, MJ Capps, Firefighter AJ Bocchino and Firefighter Tim Kwaak. Firefighter Bartok will also be leaving for basic training at Paris Island next month. Congrats MJ! 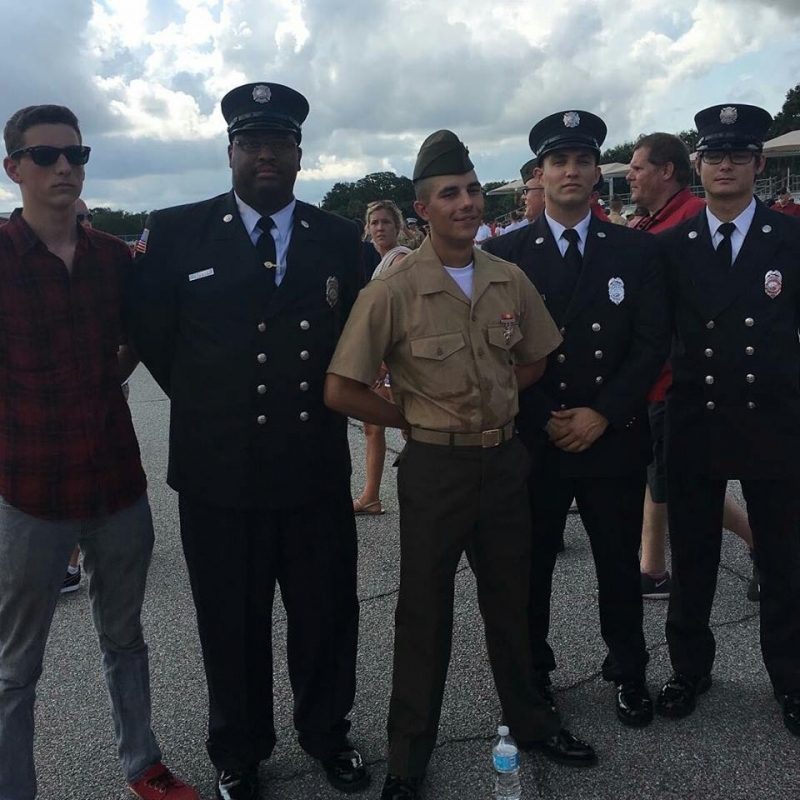 Grat job FF White-Bocchino - Kwaak and Bartok for making the trek to Parris Island.